As my last post illustrated, Jay Leno leaving Tonight was an emotional experience for me. Jay started crying and it took a lot for me not to join in his crying. Leno throwing it over to Garth Brooks to play ‘Friends In Low Places’ right after his emotional goodbye just made it even more reflective of my childhood. It’s time to move on, though. On February 17, a new Tonight begins with Jimmy Fallon. Fallon is only 39-years-old putting him at an age that makes him seem like an older brother to the key demographic. That’s kind of how I see Jimmy. Not having an actual brother, I like to adopt celebrity brothers. 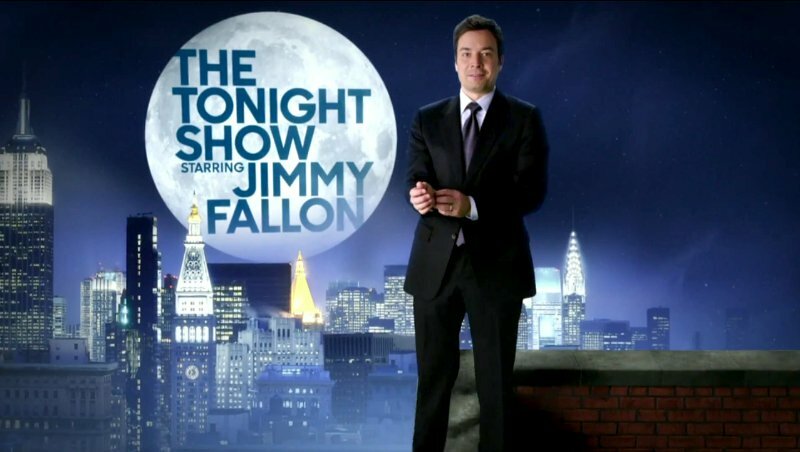 Fallon will instantly inject new life into The Tonight Show with his ever-ranging skillset. Fallon can do impressions, play guitar, sing, be adorable and just be an awesome guy. Jimmy Fallon would be a guy that you want to get stuck in an elevator with. The Roots, his band, brings an added element to the show that no other late night band does. Jimmy can reference a song and within a matter of seconds The Roots, as a whole, can be playing along with Jimmy. That’s insane and seems usually impromptu. Announcer Steve Higgins is also a total hoot and is guaranteed to retire about three times a week after nailing a joke, only to retire seconds later after typically getting ‘mugged’. I’m excited as all get out for a new late night beginning. It’s only been two and an eighth guys in the two main shows for my whole life. Jay Leno hosted Tonight 22 years, David Letterman is on year 21 at The Late Show and, of course, Conan O’Brien held Tonight for about a half-year. It’s time for the new generation and Jimmy Fallon is the man for the job. Fallon moving to Tonight also gives us five nights of Seth Meyers a week on Late Night which I’m also super excited about, but that’s a whole other rant.